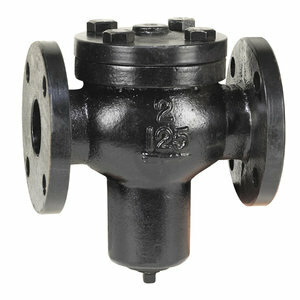 Series 97FB-CI cast iron, simplex basket strainers are for use in liquid and steam applications. All sizes of Series 97FB-CI are furnished with a plugged blow down connection and angle designed baskets. Sizes 8″ (200mm) and larger come with a side drain facing the outlet of the strainer. All sizes come with a bolted cover and a graphite gasket. 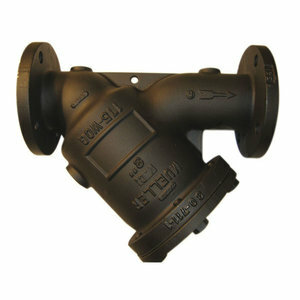 These strainers may only be installed in a horizontal position. Provide economical protection for costly pumps, meters, valves, and other similar mechanical equipment by straining foreign matter from the connected piping system. These strainers are UL approved and are used to prevent clogging in fire service systems such as automatic sprinkler systems and various spray systems. • Extra large capacity baskets equal very low pressure drop and long intervals between cleaning and servicing, essential in this service. • NPT tapped blow-off connections are available on request.